My second card for my class is based on the perfectly flat cards lesson. As usual I didn't have the supplies they used so a bit of improvisation was in order. The lesson showed a type of paint spritzer to make the solid colour area but I just used a stamp pad and dabbed it all over, which possibly isn't very good for the stamp pad. The lettering is from a letter set I have, and when I made the mistake and used the wrong letter there was much swearing. It was the very last thing I was doing so there was no way I was going to start again. 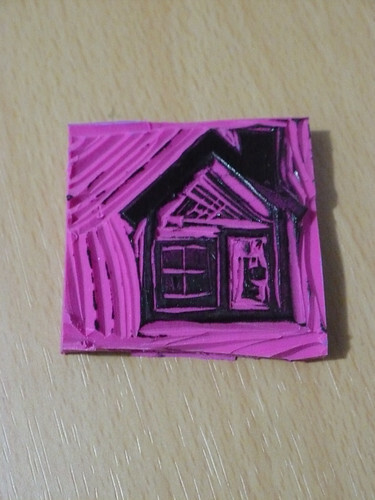 The stamp is one I hand carved myself, which is easier than I thought, and something I think I will do more of. 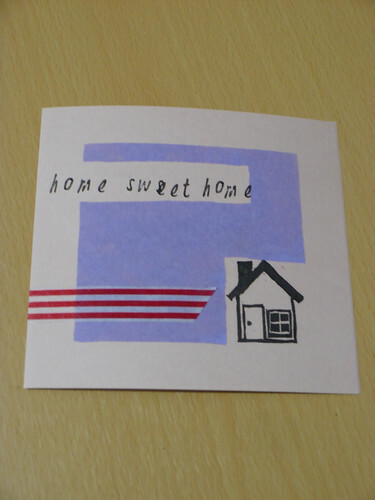 A piece of washi tape (my new favourite thing) and I was done!